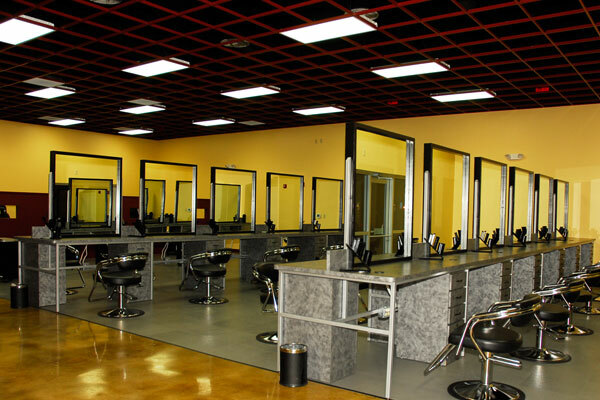 This two-story, 15,000-square-foot, state-of-the-art cosmetology academy was an interior build-out of a former grocery store that had been converted into tenant spaces. 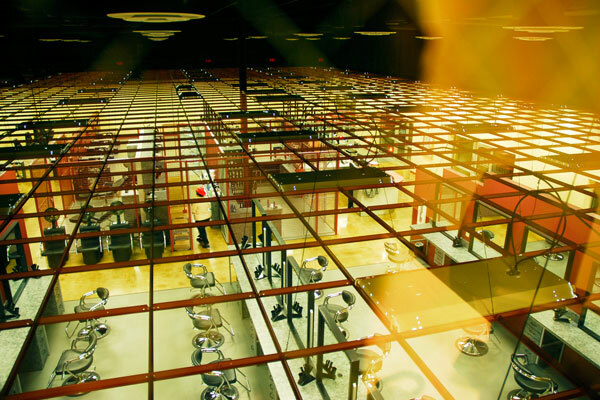 The first floor houses a full-service hair salon and classrooms. The second floor, originally an uninhabited storage mezzanine with limited access, consists of additional classrooms and administrative offices with the addition of an exterior exit stairway and elevator. The challenge from the client was to produce a “high-tech” ambiance that would withstand the traffic of the school’s 300 students and the chemicals that would be used. It also needed to be low maintenance and energy efficient, with visibility and flexibility important design factors. 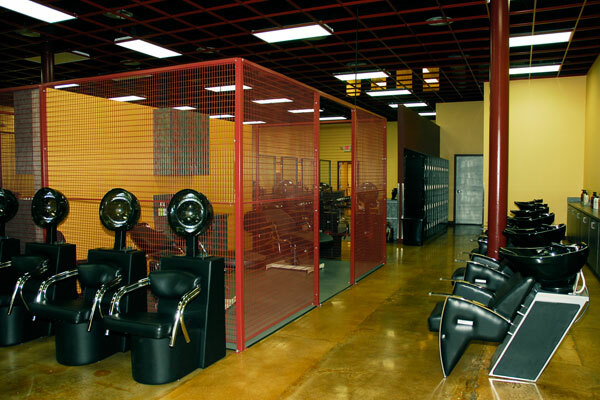 To address these requirements, an open ceiling grid system, metal cages, and windows were used to allow administrative and teaching staff to have full view of the salon and classrooms. Custom-designed furniture serve as both cosmetology stations and desks, enabling the classrooms to function as both instructional and practical labs. 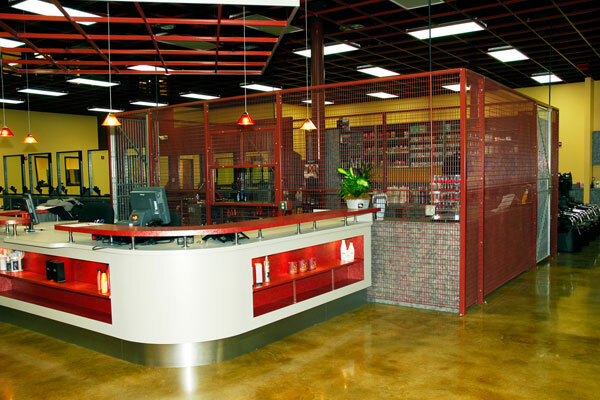 Sealed concrete floors and chemical-resistant materials were used for low maintenance and durability. The mechanical systems were designed to produce the hot water required by the salon, and energy-efficient lighting was provided throughout.